The pharmaceutical market of Ghana highlights further aspects of thecomplexity of the relationship between access to medicines and pharmaceuticalpatents. In this chapter, I attempt to unpack the actions of pharmaceuticalpatents in Ghana, starting from the point of view of the pharmaceuticalmarket and health system, rather than from the letter of the law. I focus hereon the main system of distribution of medicines, to the exclusion of thedistribution of antiretrovirals (ARVs). This is because this particular systemis organized alongside an alternative model that does not directly link tothe rest of the market in terms of procurement, or in terms of distribution(and I turn to exploring it specifically in the next chapter). Here, I thereforefocus on other medicines, many of which are out of patent, but thatnonetheless, as was the case in Djibouti, remain entangled in networks thatemerge through and around patents. In contrast to happenings in Djibouti,however, the Ghanaian government has actively tried to facilitate the enrolmentof generic medicines in its healthcare networks, and by comparisontried to avoid seeing innovator brands dominate a market in which accessfor the poor is still difficult. These efforts are challenged time and again,however, by practices, habits, discourses and attitudes that repeatedly resistgeneric medicines. In this chapter, I explore those efforts and the continuedprocesses of inclusion/exclusion that are at play in the Ghanaian healthsystem and question the various possibilities and limitations that are createdand encountered when trying to bring good quality and cost-effective drugsto patients in Ghana. The story told here is one of constant tension betweenthe need to keep prices under control and to promote the most fundamentalinstrument for doing so (generic medicines) and the difficulties encounteredby these generic medicines in stabilizing their role beyond policy documentsand government offices. Generics become an essential yet fragile object ofpublic health. 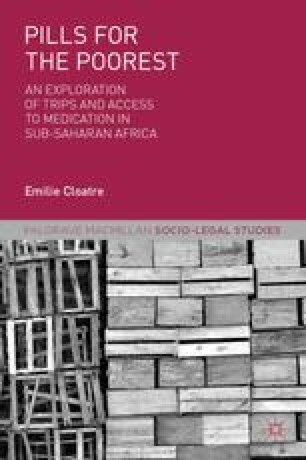 The chapter can be read as echoing some of the issues seenin Djibouti: for example, the struggle of generic medicines to become establishedand stable actors and the strength used by patented drugs to opposetheir enrolment and stabilization. Throughout, I deliberately avoid reducingthe strength of patented/branded drugs to merely the expression of thepower of multinational companies. Instead, I hope that exploring the variousways in which branded drugs are stabilized will contribute to explaininghow this power is constituted through a set of localized practices and heterogeneousconnections and disconnections.